Now the user can add a phone number in the team page. 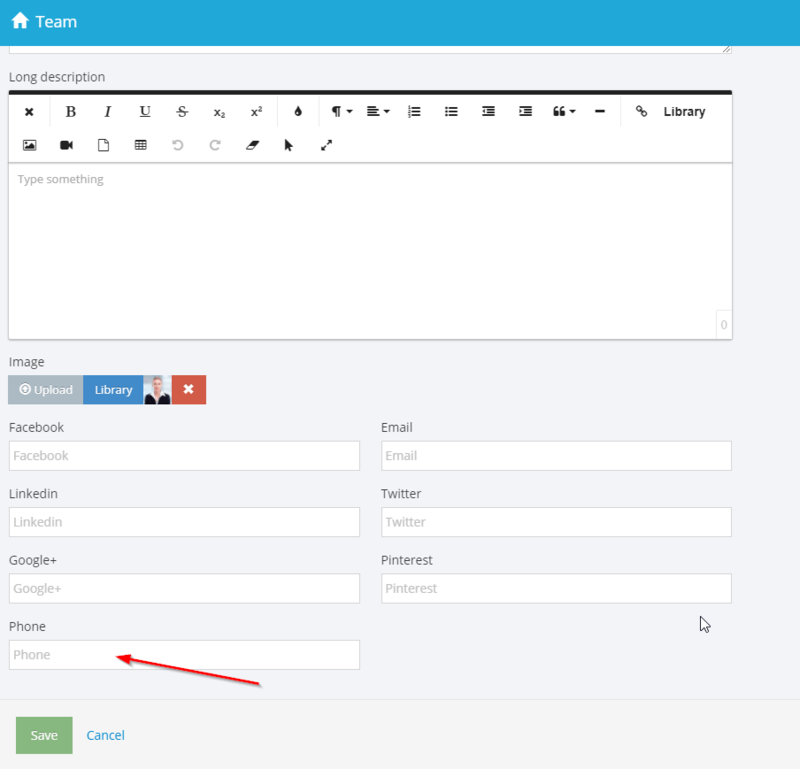 Team page >> Fill in the "Phone" field. More than 1698 SITE123 websites created in US today!